I’m really happy with my new moka pot and the coffee beans I got at Kaffeeklatsch. The down side is that I already make two sweets in one day just so I could enjoy them with my new coffee addiction. 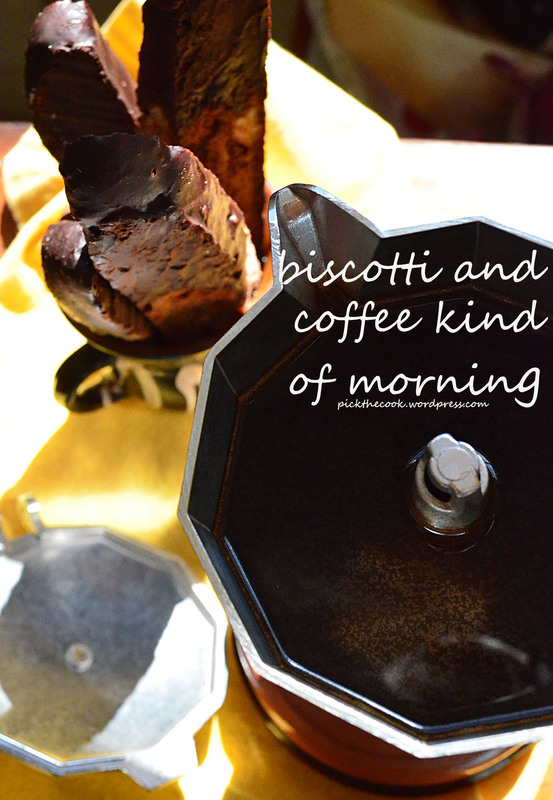 I’ll post the recipe I came up with for this biscotti soon. As a preview I’ll just say I used vermouth and anise.